The Business Loop Community Improvement District is pleased to present our 2018 Annual Report. We’ve been working on strengthening the economic vitality of the street and have recently completed a ten-year, corridor-wide improvement plan focusing on beautification, traffic management, and public space. The steady increase in property values is very encouraging. Assessments are still low for such a key commercial area though, largely the result of significant underutilized space along the corridor. Property owners continue to move forward on private improvements, demonstrating their commitment to the area and their confidence in the future. 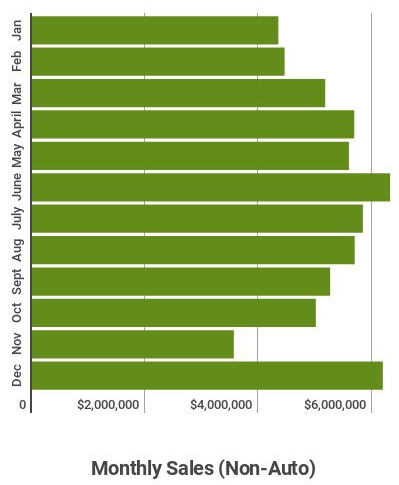 Despite the 14% drop in new construction, it still reflects investments of about a half million dollars. 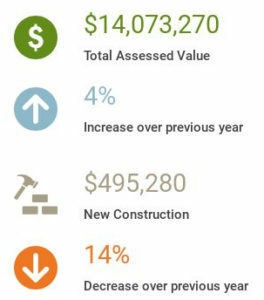 In comparison, new construction in 2015 and 2016 never topped $30,000. Public improvements outlined in the Loop Corridor Plan will give property owners additional confidence in the future of the area and will help spur additional private investment. The corridor is home to more than 160 businesses with a strong focus on home improvement and auto sales and service. The area is still underserved by restaurants but existing ones show strong sales. These retail niches—home improvement, groceries, and auto sales and service—are holding their own in the face of online commerce trends and can help direct future recruitment efforts. Non-auto sales increased by 7% over 2017 to nearly $61.7 million. 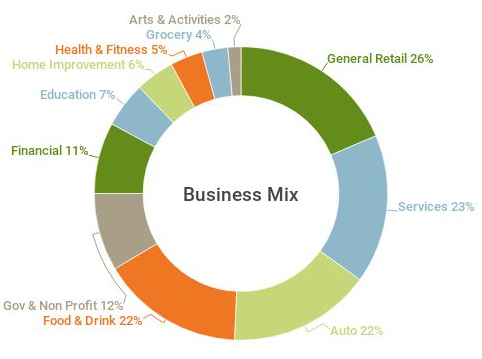 The Loop generated $1.2 million in city sales tax, showing that The Loop is a key economic generator for Columbia.Retail sales are stronger than anticipated, offering proof-of-concept to businesses seeking to locate here and demonstrating our value to the city as a whole. Our efforts this past year have been focused on developing an improvement plan for the Business Loop that would meet community expectations. People filled out surveys, attended public meetings, and participated in online chats about how they’d like to see the area improved. The plan includes a more attractive streetscape, undergrounded utilities, additional sidewalks, wider bike lanes with a buffer, public art, and new public spaces such as a pop-up festival lot. For more on the Loop Corridor Plan, including a downloadable version of the plan, visit theloopcomo.com/loop-corridor-plan. Strong sales revenues on the Business Loop means we’ll have more funds to invest back into the street. Because community improvement districts are governmental bodies, our funding must be directed at projects for the collective good of the street. This means our efforts will focus on improving public spaces and adding more public amenities–all things that anyone can enjoy. Key projects included in this budget are a pop-up festival lot, a traffic box art program, and a bike repair station near the new MKT-Parkade Bike Boulevard. 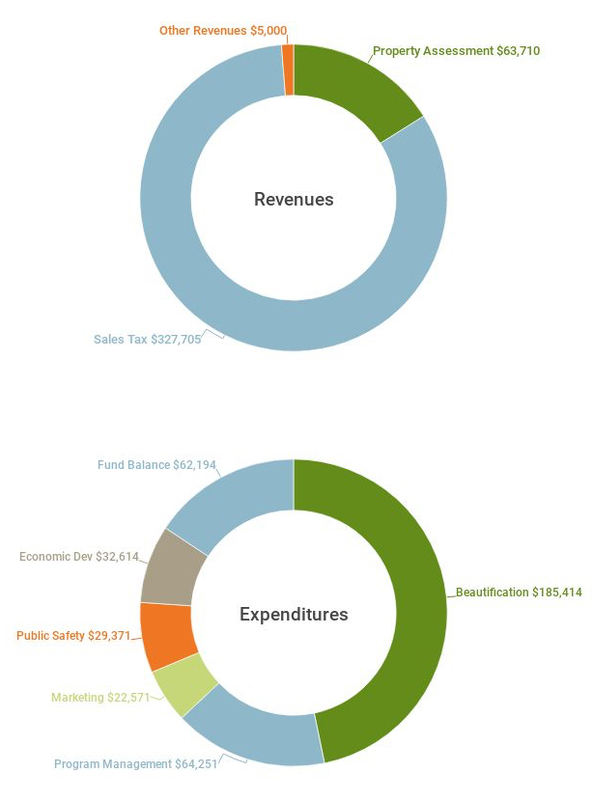 For the full FY2019 Budget and supporting documents, visit our website at theloopcomo.com. We talk a lot about the street but when it comes right down to it, it’s the people who make The Loop what it is. We have a fantastic volunteer board as well as business owners, property owners, residents, and fans who want to see the corridor revitalized and are working hard to make that a reality. We want to thank everyone for their support, their input, and their commitment to making The Loop a vital and innovative corridor that reflects the get-it-done attitude we’re known for. Our entire 2018 Annual Report is available for download. We also have hard copies available in our office at 601 Business Loop 70 West, #128 and if you’d like some for your business, just let us know.